Benghazi - What Happened and Why did General Ham Suddenly "Retire"
Just exactly what happened in Benghazi, Libya, in a terror attack that left four Americans dead, is the subject of heated national discussion—especially now that elections are complete. One critical concern is who issued a "stand-down" order under which help was not dispatched to the Americans under fire from al-Qaida. Now apparently one person who would be in a position to offer details, Gen. Carter Ham, has allegedly made the decision to "retire." Already uncovered in the controversy is how there had been pleas for more security for the Americans in that location, how forces who were nearby could have responded, and how there were orders stopping that from happening. 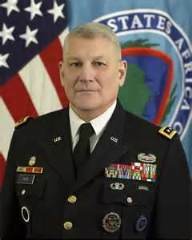 It is within this context that questions are being asked about the scheduled replacement of General Ham, head of Africom, only a few years before his mandatory retirement date, especially since his replacement occurred so close to the consulate attacks. Africom is headquartered in Stuttgart, Germany. The command encompasses all of Africa and its adjacent waters except for Egypt. It is notable that Ham it to be removed from a post with a three-year rotation after only one and a half years. 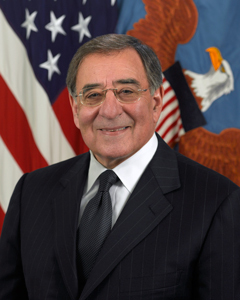 When announcing Ham's replacement, Defense Secretary Leon Panetta praised Ham's service. A report from the department said leaders remain "fully confident" in Ham's performance. Pentagon Press Secretary George Little said Ham "has the full confidence of the secretary of defense and the chairman of the Joint Chiefs of Staff." Little attributed the change to Ham's "decision to retire," which he described as "an entirely personal decision." Officials have denied there were other reasons for the change. "Gen. Ham's departure is part of routine succession planning that has been ongoing since July," said a government statement. And yet, it was on October 18 that Defense Secretary Leon Panetta announced his plans to nominate Army Gen. David M. Rodriguez to succeed Ham as leader of Africom, and at the time, no mention was made of early retirement considerations. Additionally, General Rodriguez has only been in his command for 14 months—a highly unusual change. Questions remain, especially because Ham's account of the terror attack contradicts the accounts of Panetta and Barack Obama. Also revealed is that the U.S. had drones and real-time visual/audio communication during the attacks. Commanders could watch the entire tragedy unfold. The drone footage of the events in Benghazi has been classified by the Obama administration, which summarily declared the content “Top Secret." But these facts reveal an inconsistency in Panetta's narrative, which has led some critics to question Panetta's entire account of the events in Benghazi. The source, whose identity is being withheld, has extensive contact with the leadership arm of the reconnaissance and intelligence wing of the Pentagon and is very familiar with protocols in "hot" situations like Benghazi. He said, "When an incident begins to take shape in an area of responsibility (such as Benghazi in the A.O.R of General Ham), he would immediately activate forces necessary to deal with the crisis. Additionally, he would place additional forces on alert in case of further escalation or need for other aid (i.e. rescue, medevac, or offensive and close air support). Further, beyond his A.O.R., he would request certain forces be made ready in case they needed to called upon. (most likely from the closest supporting A.O.R.). I would think that might be Central Command and forces in Italy." He continued, "Once having activated his forces to readiness, he would advise his superior of his readiness to engage – his immediate superior being the SECDEF. He would also alert him to further developments the SECDEF may not be aware of. Typically, the Chairman Joint Chiefs of Staff is not in the Operational Line of Command. While the SECDEF may have the CJCS advise him if he desires, General Ham would be nearly always be getting orders directly from SECDEF." And, he said, "Since this attack on a U.S. consulate had enormous political implications for the president's foreign policy, the SECDEF would find himself in the position as just an 'adviser' to the President. Because the Sec of State implemented the major shift in the foreign policy of the President in the Middle East over the past 4 years, her input would carry more weight than the input from the SECDEF." That description is at odds with Panetta's account. General Ham’s slated departure from Africom coincides with the announced removal of Admiral Charles M. Gauoette pending investigation of "inappropriate leadership judgment" during his deployment in the Mideast. The DOD has refused comment on the investigation. This article is based on a false premise. Gen. Ham has not been removed. His replacement has been named, that is all. Therefore, the "source" referenced in this article has zero credibility. Why waste our time on creating stupid conspiracies where none exist? Could it be that what we are seeing is an attack on our military leaders by a corrupt Obama administration? I hope those that feel they need to "retire" will speak out forcefully and truthfully. Sorry Joe, your logic just doesn't connect here. General Ham may be technically sill in command, but he is on his way out the door. But the reason your logic is flawed is, that statement was a conclusion of the author and has nothing to do with the credibility of the source. The comments of the source are his opinion based upon his experience gathered through decades of service to our nation. The source is in a position to know exactly what he is talking about. Nice try Bob... who is managing who's reputation? Who's words are these in the following sentence? " "To remove someone prior to the announced change indicates that some event/action/incident has occurred to accelerate that change UNLESS that officer is needed in their new position for a very important/critical position. That is where I would begin to look to get a sense of what has happened." Your boy then reinforces the implication that Gen Ham has been removed by speaking on behalf of the source as follows: "The source feels that since Ham was removed before his mandatory retirement date in 2013..."
If you want to discuss logic, why would one want to "begin to look to get a sense of what has happened" if nothing has yet happened?